Bohol Provincial Police Office intelligence officers on Wednesday night seized in Tagbilaran City shabu worth P11 million, the largest drug haul confiscated in a single operation in the province since May, 2017. The massive haul of suspected methamphetamine, weighing 935 grams, was confiscated from one Joseph Alburadora through a BPPO Provincial Intelligence Branch (PIB)-led raid at his residence along CPG East Ave. in Barangay Mansasa. The shabu, contained in 36 large packs and 17 medium-sized packs, were found by the raiding team, which was armed with a search warrant, inside a knapsack beside Alburadora’s refrigerator at his residence. According to Sr. Insp. 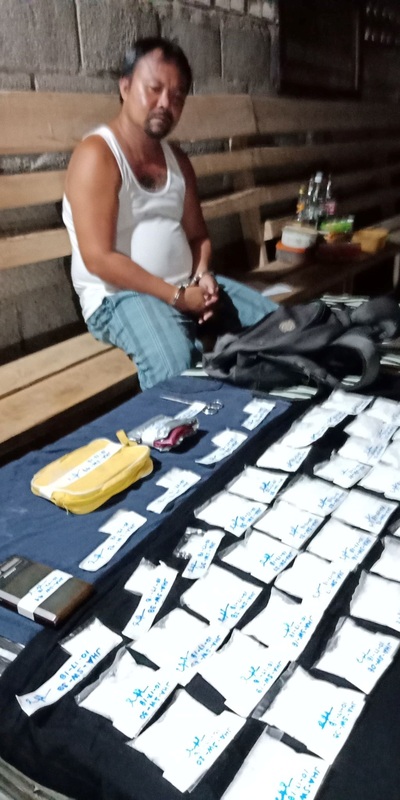 Romar Labasbas of the PIB, they were not expecting to seize such a large amount from Alburadora who was fingered by apprehended alleged drug dealers Geoffrey Silao and Paul Christian Culpa as their drug source. Alburadora was only elevated to a high-value-target status after police discovered the drug haul, Labasbas said. Police also noted that one Jojo Aguilar, a Bohol District Jail detainee, was supervising Alburadora’s drug operations. However, Alburadora reportedly has been giving police conflicting statements on where he sourced the massive drug stash.